Yelawolf : Trunk Muzik 3 album download | Has it Leaked? Trunk Muzik 3 (stylized as Trunk Muzik III) is the upcoming fifth studio album by American rapper Yelawolf. It is scheduled to be released on March 29, 2019 . It will be his final album under Eminem's imprint Shady Records, and will be released in conjunction with Interscope Records and Yelawolf's own label Slumerican. 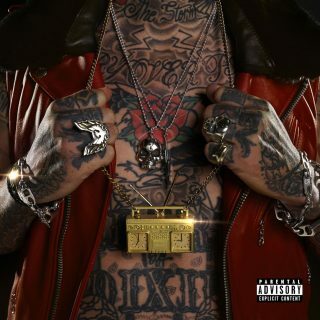 The album marks a return to an emphasis on the southern hip hop sound that was predominant in Yelawolf's music at the start of the decade, a contrast to the country-folk and hip hop fusions of his previous two albums. While the album is titled as the third in the Trunk Muzik series, it is technically the fourth, following his 2009 mixtape Trunk Muzik, its subsequent 2010 reissue Trunk Muzik 0-60, and 2013's Trunk Muzik Returns. Sessions for the album began in January 2018, following the release Yelawolf's fourth album Trial By Fire, with long-time producer and collaborator WLPWR. This marks their first production collaboration on one of Yelawolf's studio albums since the release of 2015's Love Story. The album also features production from DJ Paul and Jim Jonsin, and collaborations from Rittz, DJ Paul, DJ Klever and Machine Gun Kelly. Don’t think Bloody Sunday is part of the TM3 album. Was just a promotional song. How the heck has this album not even leaked yet? It’s out in 4 days. So keen. This needs to leak like, yesterday! You need to buy and support the artist idiots….